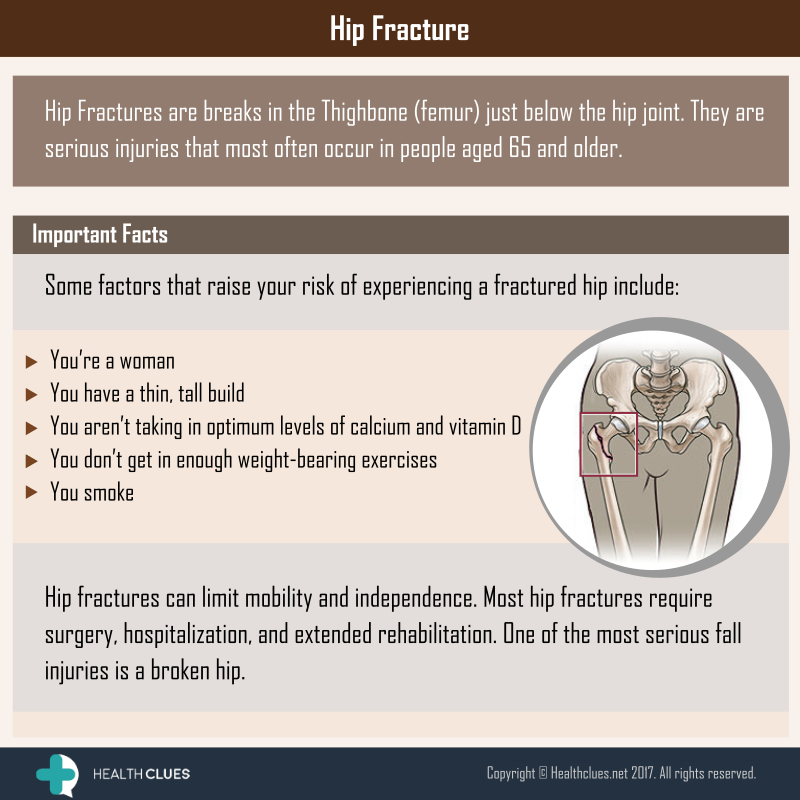 Hip Fractures are breaks in the Thighbone (femur) just below the hip joint. They are serious injuries that most often occur in people aged 65 and older. Hip fractures can limit mobility and independence. Most hip fractures require surgery, hospitalization, and extended rehabilitation. One of the most serious fall injuries is a broken hip. General, Infographics calcium deficiency, hip bone fracture, Hip Fractures, hip replacement, hip surgery, osteoporosis, vitamin D. permalink.